The 37128 Zip Code is located in the Southwest Corner of Murfreesboro TN (Rutherford County). Popular subdivisions in the 37128 Zip Code include Amber Glen Subdivision, Barfield Downs Subdivision, Berkshire Subdivision, Blackman Meadows Subdivision, Brighton Park Subdivision, Davenport Station Subdivision, Hampton Park Subdivision, Hillwood Subdivision, Kingdom Ridge Subdivision, Naturewalk Subdivision, Salem Creek Subdivision, Sheffield Park Subdivision, Stewart Creek Farms Subdivision and Three Rivers Subdivision. View our selection of available properties in the Murfreesboro Zip Code 37128 area. 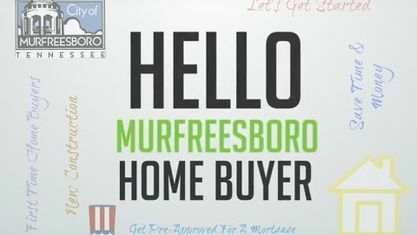 Get to know Murfreesboro Zip Code 37128 better with our featured images and videos.